Aaron Stromberger sits in court while a judge decides who stays and who is released from jail. Judges agree with his office's recommendations to release people charged with crimes about 83 percent of the time. There are two things we know for sure. The Spokane County Jail is overcrowded, with its population frequently spiking beyond the 650 inmates the downtown facility is designed to hold. And the bail system — requiring cash in exchange for freedom ahead of trial — is an inefficient and discriminatory way to decide who stays in jail and who gets out. To some extent, the second problem begets the first. For the past several years, criminal justice decision-makers in Spokane, and elsewhere in the United States, have tossed around ideas to reduce rising jail populations. Many ideas focus on the people accused, but not yet convicted, of crimes. For example, New Jersey has virtually done away with bail after a new law took effect earlier this year. The changes are similar to practices in Washington, D.C., where about 90 percent of people accused of crimes are released, usually with some form of court-ordered monitoring such as an ankle bracelet. Although bail is still baked into the system in Washington state, Spokane County has been moving toward a similar system — one based on risk, rather than wealth. Thanks to a $1.75 million grant from the MacArthur Foundation, Spokane County's Office of Pretrial Services has nearly doubled its workforce. Pretrial officers gather basic information about people accused of crimes and provide a report to the judge, including their recommendation on whether or not to hold the person in jail while the case is pending. The grant money also helped pay for a statistical risk assessment tool that uses personal information to calculate a person's likelihood to skip court or commit a new crime. The goal of the tool and the beefed-up pretrial office is to provide judges a clearer picture of each person who appears before them. The more information a judge has, the more confident they can feel releasing, or detaining, a person while the case is pending. Early statistics indicate that the renewed focus on people accused of crimes could help drive down the jail population without jeopardizing public safety. "This information is helpful for those people who have had a couple warrants, maybe some [criminal] history — they're in the middle," says Spokane County Superior Court Judge Annette Plese. "The more things I can look at to give me advice, why not?" On Sept. 26, 1,019 people were detained in Spokane's two jail facilities well beyond the 938 they're designed to hold. Aaron Stromberger rattles off questions from the second floor of the jail to the inmate standing in front of him. Where do you live? Do you have a job? If you're released, do you have a place to stay? The man dressed in yellow scrubs and orange socks responds as best he can. Joey Yamada has been homeless for two months, but he could stay with a brother, who lives in town, he says. He's been picking up odd jobs recently, making about $800 per month. Do you need mental health or drug treatment? asks Stromberger, a pretrial services officer. "They go hand in hand, I would think," he says. Stromberger tells Yamada that he'll help get him a public defender for court the following day. Yamada, facing misdemeanor and felony charges, will appear in two different courts. That means he needs approval from two judges to be released. Stromberger then hustles back to his office where he'll sift through 10 different databases to fill in the rest of Yamada's information, such as how many times he's missed court and whether he has warrants in other states. Stromberger will also call the man's family members to ask if whether Yamada is welcome to stay there. All of that information is compiled into a report, along with Stromberger's recommendation for release or detention. He can also suggest a monitored release, which typically involves a weekly check-in and court date reminders. 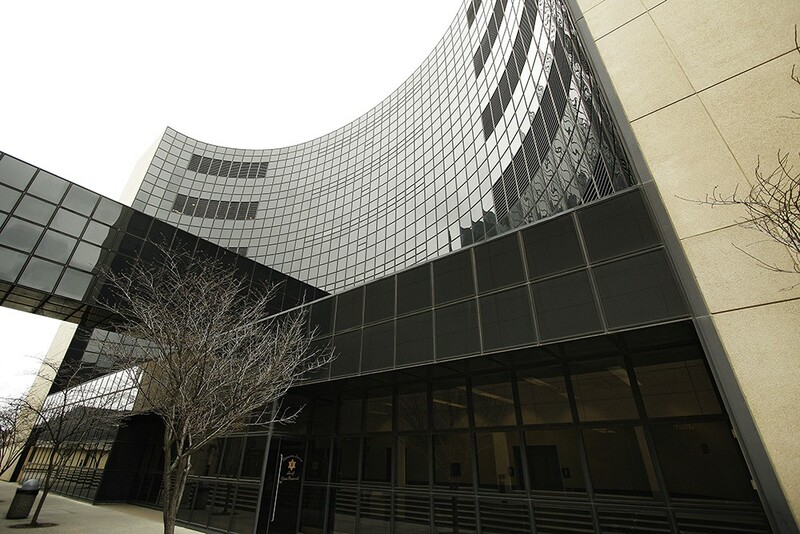 Before the pretrial services office expanded, this level of attention was only given to felony defendants and those accused of domestic violence and DUIs. Now, nearly all defendants are interviewed, Stromberger says. The judges will also see the results of a statistical risk assessment for Yamada, which factors in his age, criminal history, housing situation and substance abuse issues, among other variables. The tool, known as SAFER, or "Spokane Assessment for Evaluation of Risk," was developed by Washington State University criminal justice and criminology professor Zachary Hamilton specifically for Spokane's population using data from about 14,000 criminal cases. Actuarial decision-making in criminal cases has drawn some criticism in recent years for potentially perpetuating bias in the criminal justice system. Since she began using the tool, Judge Plese, who currently decides which felony defendants get released, has been keeping notes of what she believes are anomalies in the calculations. For example, she says a younger person with no criminal record might be considered high risk, whereas someone else who's missed court dozens of times is considered by the tool to be low risk. "Then we can sit down and say, 'What's the reason behind this?'" she says. "And a lot of that can depend on the type of crime, the person's age." The SAFER tool has been "validated to predict equally for all races," Hamilton says. It'll take a year's worth of data to determine whether he needs to make any tweaks in that regard. "To a certain extent, risk assessment tools help diminish racial and ethnic bias by removing the human bias inherent in prosecution or judicial discretion," he says. "There's inherent racial bias within all measures of the criminal justice system, and risk assessment tools can only be as good as the data that's provided." 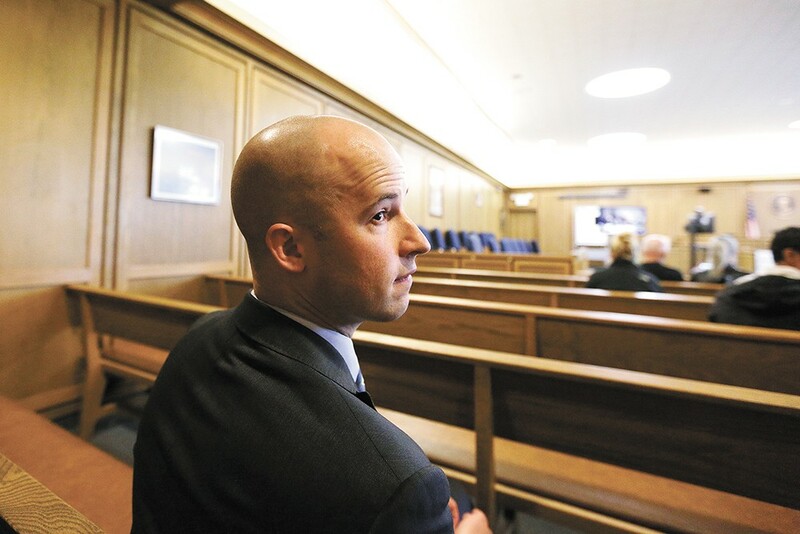 As for Yamada, considering his charges (driving on a suspended license and a nonviolent drug charge) and his limited warrant history, "he looks pretty releasable to me," Stromberger says. In 2014, half of Spokane's jail was full of people only accused of crimes — not yet convicted or serving a sentence, jail statistics show. Many of those people were charged with minor offenses, and 34 percent were given relatively low bonds of $10,000 or less. A snapshot of the jail population for one day in September 2017 shows that 78 percent of the jail's population is awaiting trial. But only about 15 percent of those people are charged with minor crimes. Cheryl Tofsrud, the Spokane County pretrial office manager, emphasizes that her staff is focused on keeping the right people in jail — those who pose the biggest threat to public safety. Since more attention (and money) has been devoted to pretrial justice in Spokane, Tofsrud says her staff's recommendations for release from jail have increased by about 10 percent. And the results are encouraging. In 2016, 77 percent of the people monitored by her office did not commit a new crime, and 84 percent didn't pick up a new warrant before the case was resolved. Those figures are fairly consistent with the numbers for 2017. She is concerned, however, with the anticipated cuts to the county's budget. The office may have to reduce its weekend workforce, which could mean that judges don't have reports and recommendations for every person arrested over the weekend.